Off the Boat Lobsters offers live and cooked lobsters directly from the fishermen who catch them. 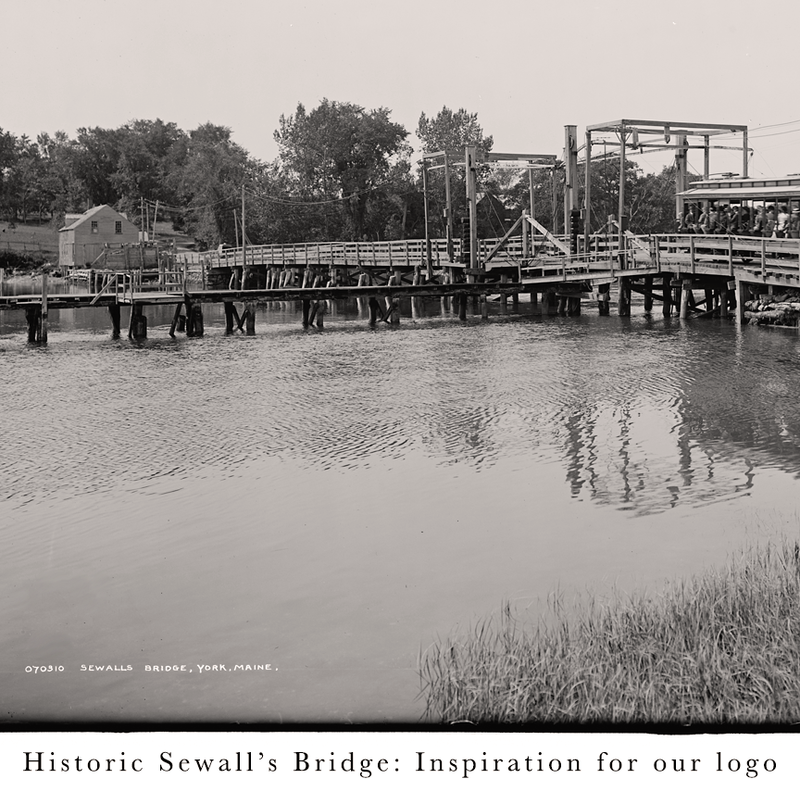 Our friendly, open-air storefront operates from our family-owned fishing pier – the Sewall’s Bridge dock – a historic working waterfront located on the York River. 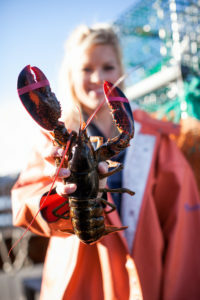 Taking to her heritage, owner and founder Lindsey Ramsey opened Off the Boat Lobsters in the summer of 2009 with just a pop-up tent and a cooler! Her intention has always been to provide fresh lobsters at the best prices from sustainable fisheries in Southern Maine. More than just a family tradition, the lobster business is their livelihood. 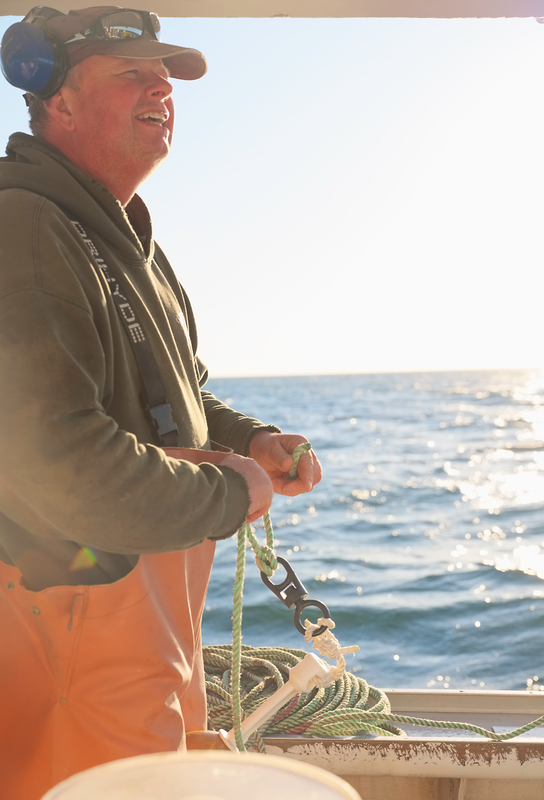 Lindsey’s father, Jeff Donnell, docks his fishing boats daily with catch. And as fate would have it, Lindsey met her husband Christopher on the Sewall’s Bridge dock while he was working for a local shellfish wholesaler based right here in York, Maine. Our seasonal business has grown slowly and steadily over the years as people have come to value local authenticity and sustainably-sourced food. Depending on price and supply, Off the Boat Lobsters opens weekends starting in May and closes after Columbus Day. We’re open 7 days a week during our peak summer season. Because preparing lobsters can be messy and challenging to cook, we offer our tender and sweet lobsters cooked right on site in seawater from our location. This season, we’ve also added live clams to our daily catch offerings. Not local? 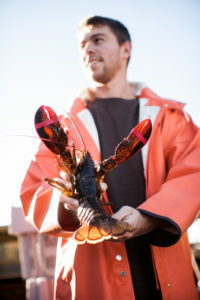 You can now order our native lobster shipped right off the boat on our user friendly website year-round! Off The Boat Lobsters is a true Atlantic-to-plate lobster shack. We’re not tied to any restaurant or major wholesaler. You can’t beat supporting your local lobstermen! Feeds the rubbery part of the lobster claw to her poodle at every lobbie dinner. Asks for lobster dinner every year for his birthday. Has yet to have birthday lobsters. Trapped animals and sold pelts to buy his first skiff at age 11. Jeff's right hand man for many years. Mathew runs his own lobster boat on his days off. Order a taste of Maine! We can ship fresh caught lobsters and steamers straight to your house! 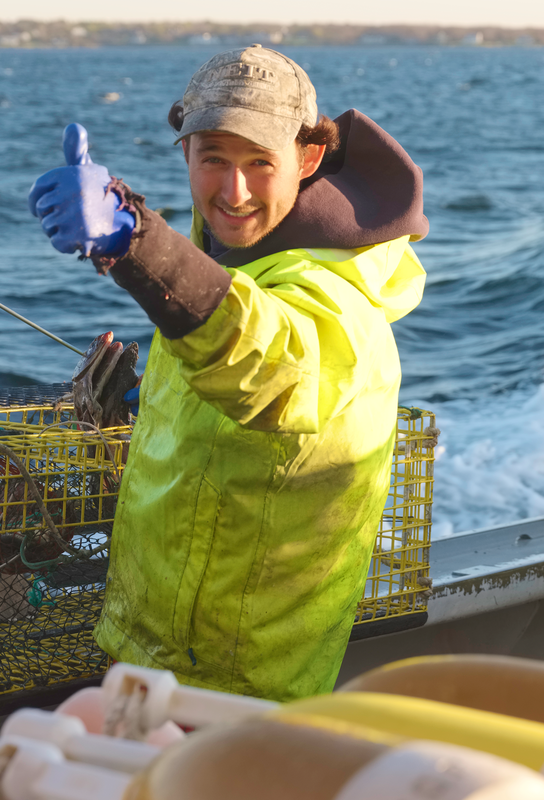 Providing fresh lobsters at the best prices while supporting a sustainable fishery in southern Maine. Spring is coming! The dock will reopen on Saturday, May 11, 2019. See you then!